A critical basic to good golf is the set-up. Assistant Pro Ethan Danish demonstrates. The flop shot. Takes lots of practise to master but a most valuable tool around the green. Here are two views of how Ethan executes the flop shot. We often hear our Academy students say they would like to swing a driver like Dustin Johnson, Rory McIlroy, Brooke Henderson or other famous touring professionals or they would like to emulate the way they play the game. Dreams are dreams, but getting it done takes talent, time and effort. The players we watch on TV have worked at perfecting their golf swings and games over long periods of time. 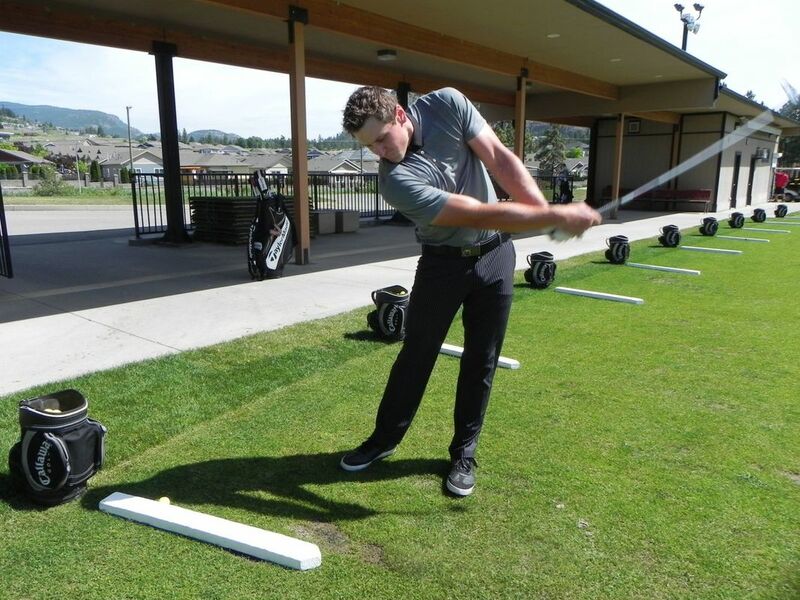 With coaching, they have made many little changes along the path to becoming consistent ball strikers. From an instructors perspective the average golfer ought to be aware of the many good things a professional does in in all aspects of the game. On-course composure. Tour players may show emotion for a short time but their personal shot routine gets them back into their concentration mode quickly. Not too high and not too low. Playing in the present tense. The most important task is the one right now not what might happen in two or three holes or what occurred in the past. Approaching each shot with a specific routine. Play with intention and attention to details. Remember that golf is an accumulation of little things in your habits and decisions. Having a game plan. Always play to your strengths. To accomplish this means hours of practise in order to hone what you do best and understand your personal game. In other words, knowing you have certain limitations. Think of Zach Johnson. He plays a golf course a specific way and knows what he can and can’t do. You should too. Having a brilliant short game. Make your putter and wedge your favourite clubs. Your scores will improve when you play your best within 50 yards of the hole. There are different ways to swing the golf club but the tour professionals understand their personal patterns and are always working to improving their abilities and consistency. As amateurs, we have a tremendous amount of information available from golf instructors and the time to start is now! Playing a little better creates a more enjoyment and after all, golf is supposed to be fun! Talk to us about our one on one and group coaching sessions. Like any sport, only a small number of players get really good at it. Golf takes practice, instruction and time. 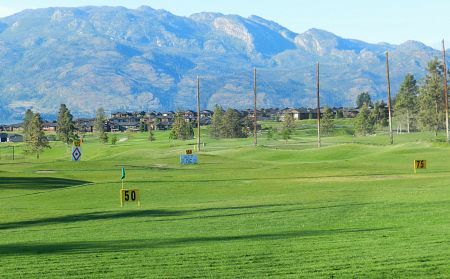 Training to win tournaments is quite different from learning to enjoy a round with your spouse, friends or business associates. Golf should always be fun. The more you love it, the more fun you’ll have and the more time you’ll find to work on your skills. This is particularly important when developing a Junior Golfer. Something as simple as teeing the ball up is often overlooked. Think about it. Getting the ball airborne brings a smile to every golfer’s face, but for a young person, it’s magic. Did you see that one? How high did it go? Was that a good one? Try it with your children or grandchildren. Tee up their ball every time from tee box to green. Let’s talk about the tee box. Making a junior play where adults play doesn’t make any sense. Having a tee box closer to the hole is more appealing and more fun. It’s creates a much more positive experience. If a junior can hit the green instead of hitting over a pond, perception changes immediately. This year Two Eagles has installed yellow forward tee boxes. We want to make the game more accessible for juniors and beginners. Bring your junior golfer out and see what the Yellows can do for their enjoyment! And how about this? Try changing par on a hole to suit the ability of the player. Turning a par 3 into a par 4 and so on is not only more fun but also promotes success. Being able to shoot par for a junior golfer is a major achievement and something to celebrate. One of the most important steps is to dictate is the time a young golfer spends with you on the course. In the beginning of the golfing experience it might be just 15 or 20 minutes. Then you can graduate to playing a hole or two and on from there. As you work with your young golfer, be sure to emphacize balance, staying in posture and positioning of the hands. And let’s not forget clubs. 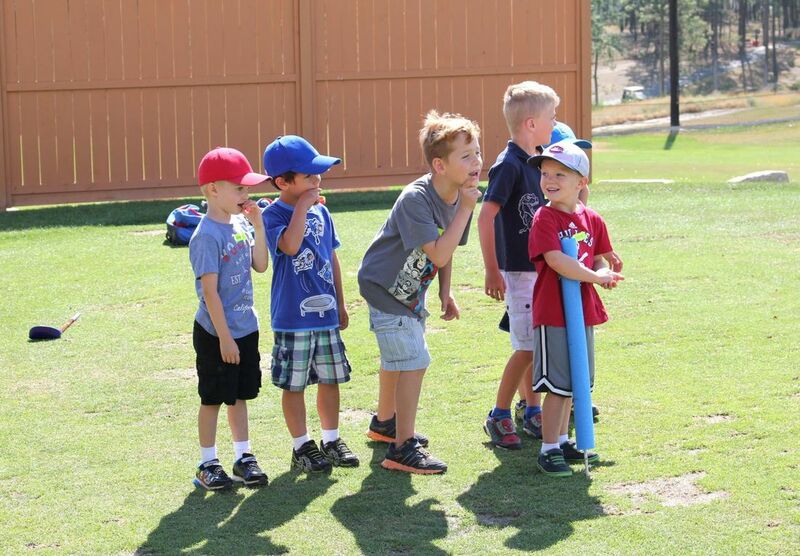 Kids clubs come in all sizes, just like they do. Talk to us about new or used. 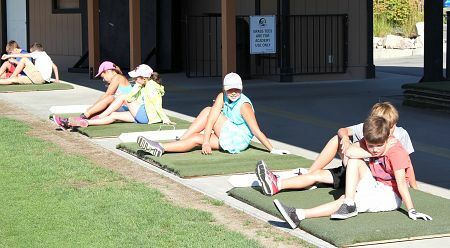 Always remember that golf should be spelled f-u-n.
Every Monday Night we host boys and girls. They play 9 holes and then head to the Academy where the main mission is fun. Some weeks we set up a mini putting course. 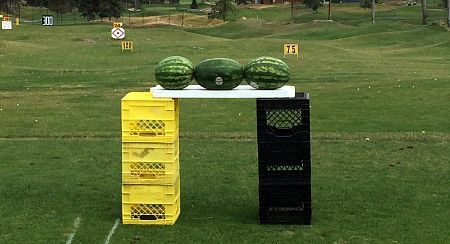 In other weeks we smash watermelons and water balloons. We take pride in our programs for juniors as young as 5. We know that the more fun they have, the more they want to be here. 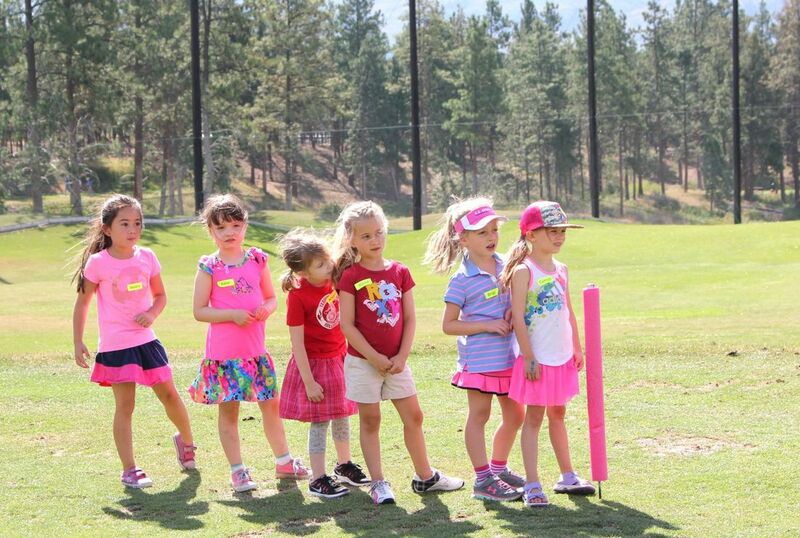 You’ll see them taking lessons, in our camps and on the course. The future of golf looks like this. Assistant Pros Ethan Danish and Curtis Pannell on the Academy range with driver in hand. Two different players with very different swings. Have a look. 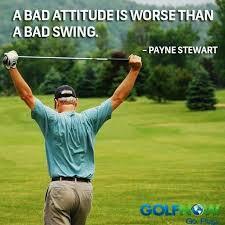 At the start of every golf season we always have a positive outlook. After all, the winter break erased the little flaws in our swing and our putting stoke improved - right? That is until we fall back into our old routine or patterns. As kids we learn through modelling, watching others when they’re active doing things. This is an important concept because in our hustle and bustle world, we often don’t find or create the time to understand the good things about our golf swing. We just worry about our bad habits and the outcome they produce. In professional sports or highly skilled amateur athletics, coaches spend hours breaking down an athlete’s performance on video. It’s the very best method to learn the nuances of athletic motion because you actually receive scientific information rather than just the feeling of what occurred. 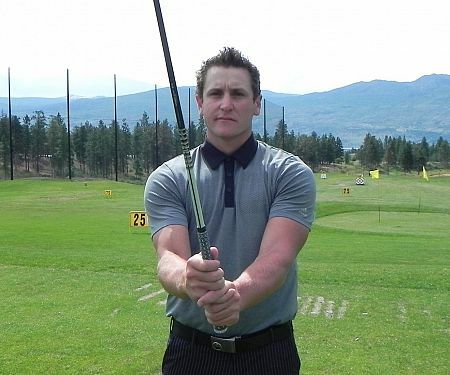 During a golf lesson a professional doesn’t judge a student solely by ball flight. For a successful lesson, the student needs to understand why changes are occurring and why new patterns are important. The golf pro will understand that a new starting position or a grip change will be uncomfortable. Video gives your coach the information about a specific habit designated for improvement. All golfers want to play their very best. Unfortunately we often don’t know how to improve. 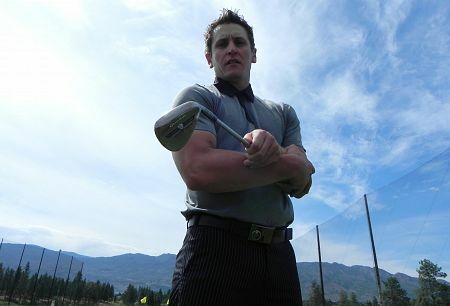 In association with a golf professional, we will develop your personal golf swing library. It will significantly increase your chances of playing better golf for today and in the future! The best players in the world practice hitting each club a variety of distances. Sure, they have their stock shots,but they work at creating the maximum choice based on course conditions and the lie of the ball. How do they do it? Maybe they need to hit their 8 iron on a higher trajectory than normal because it's to a tucked pin and down wind. By swinging harder it will add more spin and climb into the air higher, making it land softer. Then on the next hole, maybe they need to hit their 8 iron 40 yards shorter because it’s downhill to a back pin. The pros don't do this by changing the length of their swing. They change the speed of their arms. A great drill to develop feel shots is to attempt to hit all your clubs as far as you can hit your sand wedge. If you hit your sand wedge 80 yards, see if you can hit your 9 iron 80 yards, your 6 iron 80 yards, then your 4 hybrid 80 yards and so on. Even try your driver to 80 yards. The same drill will help with your little wedge shots around the green, changing the pace of your arms in a practice routine with your wedges. 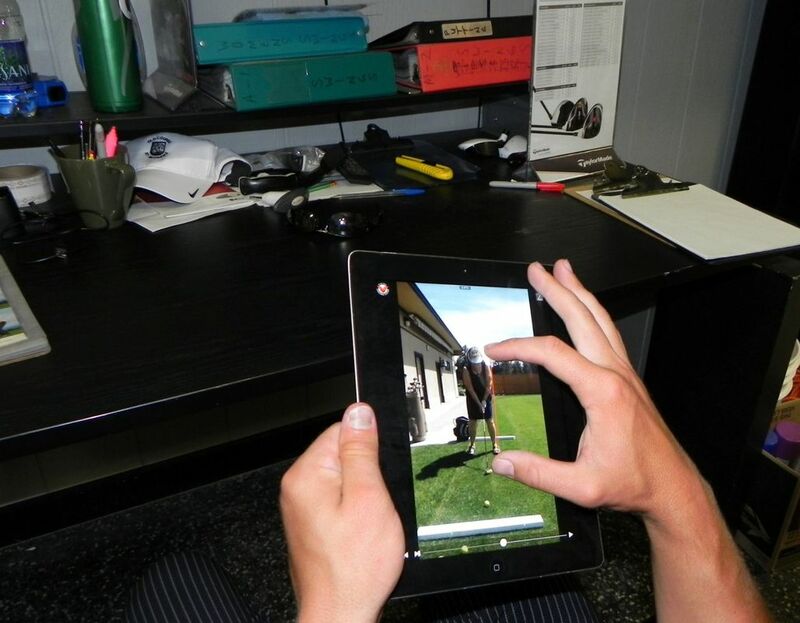 Be sure to Develop Feel Shots at the practice facility before you attempt them on the course. Human beings are creatures of habit. Never more true than in golf where our habits need to be the same, time and time again. Here’s something we teaching professionals see every year, especially among amateurs. Is this you? Do you view some rounds as more important than others? Do you change your routine, your habits, when the stakes are higher? Here are three things to think about. Being more serious does not translate to better golf. The best tour players in the world work hard to keep their routines the same – diet, mental, warm up. It may seem needlessly redundant but remember, it’s extremely important to not shock your body in any way. One of the many reasons the pros play so well under pressure is that they treat all rounds equally, without fail. Obviously good eating is better for you than poor. 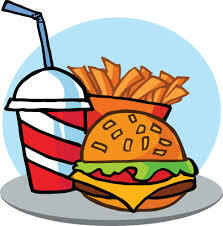 But if your routine is eating fast food then tournament day is not the time to try something new. If you want to change your eating habit, do it well before the big day. Fruits, vegetables, eggs and nuts are my staples. They give me sustained energy and I feel light and fresh. What works for you? How do you get your head into the game? Amateurs and professionals have the same issues. You must clear your mind of clutter and doubt. A positive attitude breeds confidence and confidence leads to selecting the right club and ultimately, great shots and lower scores. I hit 10 shots with my lob wedge, 5 pitching wedge, 5 shots - 7 iron , 5 with my 5 iron, 5 shots - 3 iron and 5 each with my 3 wood and driver. Then I count out 30 balls and try a variety of chip shots. Last but not least the putter. I hit 8 putts at least 50 feet in length to practice lag putting. Next, I move to 10 foot putts. I choose a practice green hole that has a left to right break on one side and a right to left break on the other side. I make 10 on each side before I move on. The very last thing I do before heading to the first tee is 3 footers, I make 3 on all 4 sides of the hole before I'm ready to play. A regular round with friends or the club championship, it doesn’t matter. The amateur’s best golf is played when you eat well, have a positive attitude and your warm up habits are all the same. Just ask a pro! Look up the word insane in the dictionary. It’s defined as doing the same thing over and over and expecting a different result. We can only do what we know. I guess that makes us all a little insane because it’s easier to practise what we’re good at than it is to develop a plan for improving our weaknesses. The obstacle is identifying the problems and then, knowing how to fix them. 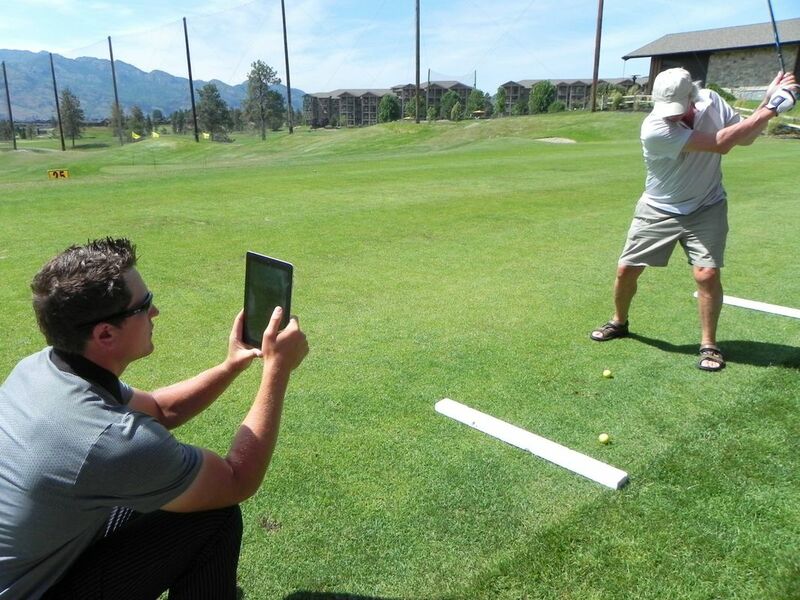 Golf professionals are trained to look for both the good and the bad in your game. When we go to work with you, we study everything through a series of drills. Then we devise a plan. Everybody is different. What causes you to slice the ball may be a little different from the next person. As a result, the fix for your problem will also vary. That’s why we identify your strengths and weaknesses and customize your program. In my experience watching members and guests on the practise range, most of you warm up with driver. You might hit as many as 40 with the big stick then switch to an iron for another 10 before moving to the putting green to try a handful before your tee time. If this is you, your routine is less than ideal. The majority of golf is played from 100 yards to the pin. As a teaching professional, I’d prefer to see a progression such as 15 wedges, a handful of 7 irons, a few 3 irons and maybe 10 drivers. Then, off to the practise green where I recommend you spend the same amount of time with the putter in your hands, working through a variety of lengths before you go to the first tee. Place three balls down at a distance of 10 – 15 feet. Hit the first one at random speed and watch the roll and the stopping point carefully. Try to hit the second one two feet past the hole. With the third, try to come up short by two feet. Now repeat the drill from different distances. Learning to control the speed of your putts will help to lower your scores. Always remember there’s a big difference between warming up your body prior to a round and going to the range to practise your drills and work on your weaknesses. Practise is all about training your muscles and your mind through repetition. Warming up not only lessens the chance of injury, it puts your head into the game you’re about to play. When a golfer at any skill level puts in the time and commits to a process, I guarantee they’ll improve. It’s hard to break old habits. For example, if you can’t consistently get out of a bunker in one shot, ask yourself what it’s worth to you to lose the fear of the trap and instead be able to play your sand shot close to the hole every time? When you learn the right technique and practise….but then you knew that, right? See you on the range. Let’s talk first about the youngest we work with in our programs, 4 – 7 year old girls and 6 – 9 year old boys. It is very important that Junior Golfers understand and practise the “ABC’s” before and during the process of learning to swing a club. And like most things in life, the more you do it the right way, the better you get. As Golf Professionals, we study the latest techniques and drills for teaching juniors. For the ABC’s, we include: skipping, running, hopping, jumping, throwing, and catching. Proper coordination while learning golf is essential. The more fun we have with the kids, the faster they learn. Our goal is to not only develop a golfer, but also an athlete. The ABC’s are vital to success in any sport. Stance - put a straight ruler between their feet. This allows the junior to understand distance between their feet and alignment. 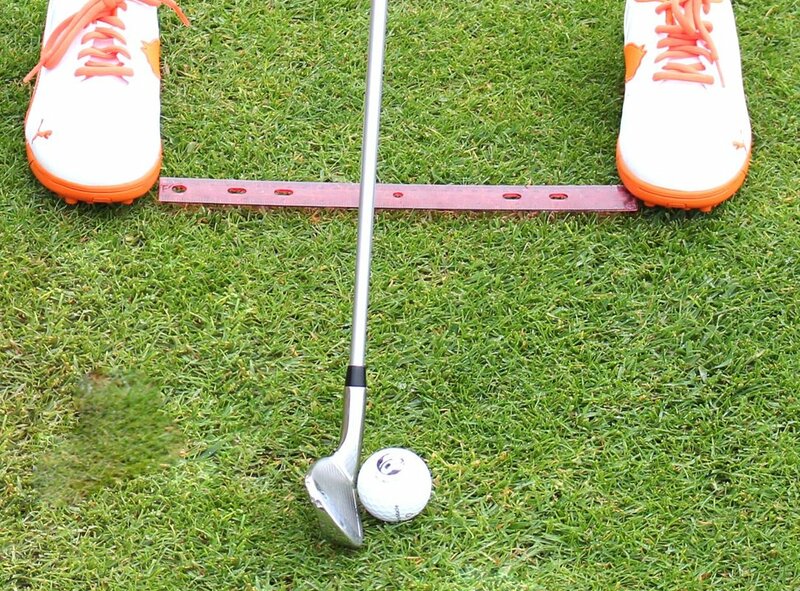 Ball Position - for the driver, the ball should line up near the front of the ruler. For irons, the ball should be in the middle. The junior will relate because of the ruler drill above. Posture - back straight & bum’s out. Showing juniors where to bend hips and knees is the key to this FUNdamental skill. Alignment – learning through discovery is how we teach alignment. We have the junior aim and hit a ball to the left of a target, then the right of the target and we use the pool noodle. ​Swing – Technical swing skills are not our goal in this early phase. Of the ABC’s, speed is the most important. If a Junior can learn to swing fast early in their golfing journey, they will always have speed and power. It is much harder skill to learn later in life!